It's the ultimate painting surface, expertly stretched by hand. Primed with highly pigmented Gesso and beautifully responsive to every brushstroke. And the unique new Winsor & Newton pro-stretcher™ creates precision tension that you can control. No other surface comes close. Since 1832, Winsor & Newton has worked tirelessly to help artists produce their finest work. Like all their art materials, this new range of canvases have been prepared to the highest quality, so that they perform to the standards of the professional artist. That is why the world's finest choose Winsor & Newton. The launch of the new Winsor & Newton canvas sees the introduction of two ranges of hand stretched canvas, expertly prepared with the highest quality finishes. The professional range includes the innovative Winsor & Newton pro-stretcher™ device and offers the greatest selction of cloth types and warp-resistant solid pine stretcher bars. 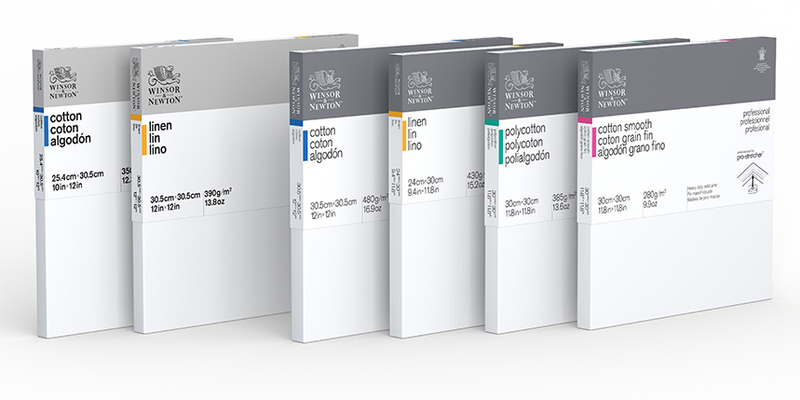 The Classic range offers a refined selection of cotton and linen canvases. Every canvas is made from faultless, finest grade cloth, painstakingly hand-stretched for outstanding tension, with expertly tailored corners. The professionally constructed frames are crafted from kiln-dried solid wood stretcher bars and rigorously tested for warp-resistance. Pigment rich Gesso primer makes the acid-free, archvial cloths beautifully responsive to every brushstroke. Balanced absorbency and tooth gives improved adhesion and uncompromised colour vitality. † Classic range offers cotton and linen cloths. Professional range offers cotton and cotton smooth, polycotton and linen cloth variations. Greater range of cloth types, including: Cotton, Linen, Polycotton and Cotton Smooth. 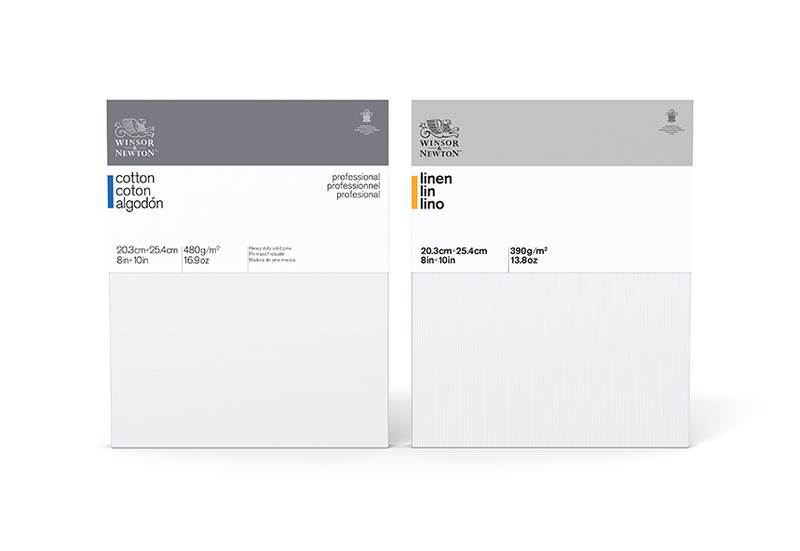 The new Winsor & Newton canvases come in 4 different surfaces. Very fine weave, ideal for fine detail and portrait painting. To find out more about the canvases in this range, please select from one of the subtopics below.